How to use hashtags in different social media? I think that every person who has a profile on Facebook, Twitter or Instagram knows about hashtag. This short word or phrase with a “#” symbol at the beginning. Everyone adds it to his text posts or images in order to get more likes or even get new followers. However, people don`t even realize that hashtags in every social media differ between each other. So, in this article we will show you the difference between hashtags in all popular social media and tell you how to use them correctly. This is the situation when people use the thing, but don`t clearly understand what this thing is. So, I think that we should start this article with the definition of a hashtag. #Hashtag – a word or phrase preceded by a hash mark (#), used within a message to identify a keyword or a topic of interest and facilitate a search for it. When user adds a hashtag to his post, this post becomes searchable, so any other user is able to find it in the social media. Each user`s trending topics are unique, based on their location, social connection and interests. How to use hashtags on a specific platform? Now, let`s have a look on daily hashtags on the most popular social media platforms. With a better understanding of the hashtag functions, you will realize how to use them better according to your strategy. When someone says “hashtag”, we immediately remember about Twitter. Here, hashtags are used to find conversations and get involved in them or even start your own (just select a specific tag and start posting). As long as your profile is public, people can find the posts in which you make use of hashtags. Note: tweets with a single hashtag generate the most engagement. If you start using two or more hashtags, the engagement drops. If you want to find information according to the specific tags, you can use the search bar on the top of the page on Twitter. On Instagram, we can see that all photos with one hashtag are collected in one stream. The purpose of hashtags for Instagram revolves around discovering content and finding users to follow, exposing you to a larger audience. According to the statistics, if you add post with at least one hashtag, you can get 12,6% more engagement than those without. If you want to search for images on a specific hashtag, you can click on this tag from the post, and all photos that were matched with this hashtag will appear to you. Of course, you can make a search with a search bar. Just start typing with the “#” symbol, and platform will show you all available results. 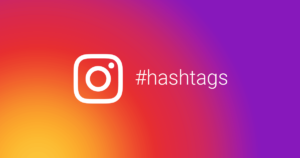 Developers made a lot of studies to find the optimal number of hashtags to use on Instagram, and, they didn`t find a perfect number. You should try different numbers with your audience. Remember that the limit is 30 hashtags for one post. Facebook hashtags differ from hashtags on Twitter or Instagram. Thus, the hashtags most people use on their posts are not discoverable to the public and are limited for the people they know. Because of this, a bigger part of hashtags belongs to huge brands or companies. Search with the help of the searching bar. Earlier, hashtags on Facebook were not recognized, but now they are. If you are using hashtags on Facebook, try to use 1-2 tags per post. Also keep in mind that your hashtags shouldn`t use hashtags with more than 10 symbols to get good engagement. 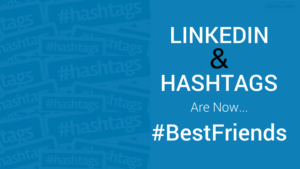 LinkedIn is one of the latest major social networks to perform experiments with hashtags. According to the studies, they work better on mobile devices than on desktop. So, if you are working with hashtags on LinkedIn, you should forget about personal computer. Pinterest is now becoming fourth the most popular social media after Facebook, Twitter and Instagram, so the topic of hashtags is actual for it. The only thing that you need to know is that all hashtags are clickable only in a Pin description. also, keep in mind that you can search with hashtags on Pinterest, so you should use the keyword to find the content. It`s so easy to use hashtags on YouTube. Users leave a hashtag in comments, and when you click on it, you are able to see all videos that contain this hashtag in description. That`s all. Now you know the basic functions of hashtags from all popular social media platforms, and if you aren`t sure in something or need to find an important information, you can open this article and find what you need.